Railpictures.ca - Robert Farkas Photo: CN 4005 is in London, Ontario on March 25, 1981. | Railpictures.ca – Canadian Railway Photography – photographie ferroviaire Canadienne. 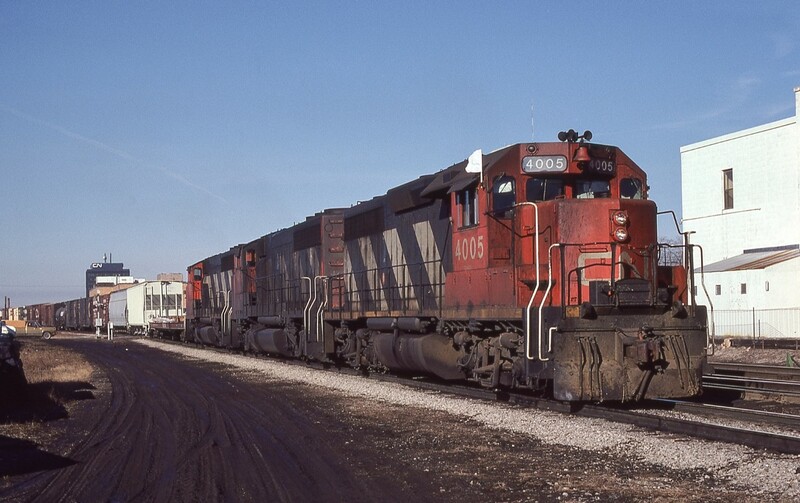 Caption: CN 4005 is in London, Ontario on March 25, 1981. Looks to be crossing Colborne St.